Credit cards are much more than an instrument to make expensive purchases without needing outright cash. When used responsibly, users may enjoy several benefits like affordable insurance and favorable interest rates, besides others. Moreover, credit cards also allow users to earn reward points, which are redeemable against travel deals, air miles, or purchasing certain products. However, before an individual signs up for his first card, here are 10 things he must know. Such types of cards primarily provide short-term finance to the users. Purchases made during the billing cycle (often 30 days) are paid before or on the due date. However, failing to make timely payments entails late fees as well as finance charges. A credit card is an excellent way to build a strong credit history. This is beneficial in the future when a person requires any type of loans. In addition, cards provide other benefits like discounts, reward points, and extended warranties. Cardholders may enjoy a grace period for certain duration between two billing cycles. This is essentially interest-free short financing available for credit card purchases. However, users must remember if full payment is not made on the due date, an interest is payable on the outstanding balance. Furthermore, users do not enjoy grace period for cash advances. A common misconception among users when they apply for a credit card is that interest is payable on the unpaid amount (in the case of partial or minimum payment). However, most card companies calculate the interest on the basis of the average daily balance during the period. A higher annual percentage rate (APR) is often applicable for cash withdrawals done through a credit card. This is the amount users must pay to ensure their credit history is not affected due to delayed payments. This amount is either calculated using the percentage method or percentage plus interest plus fees method. Using the first method, the card company calculates the amount as a percentage of the balance. If the company uses the second method, the minimum payment is calculated as a certain percentage of balance along with the applicable interest rate and late fees (when applicable). When the cardholders make timely payments, they enjoy improved credit scores. On the other hand, the credit score is negatively affected when users make late credit card payments. Additionally, the longer a person uses his credit card and makes timely payment, the better will be his credit history. Several credit cards offer travel rewards and cashback on purchases. These are often available as interchange fees. This is the fee paid by the merchants’ banks to the customers’ banks when the customers use cards to pay for their purchases. Reward points on certain types of spending, such as fuel, dining, entertainment, and others are also available. Payments for credit card transactions across the world use EMV chip-enabled acceptance for security. These chips use two verification modes to prevent fraudulent use. These include chip and signature as well as chip and PIN method. Credit card companies levy different fees and charges. Some of the common ones include annual fees, late payment penalty, balance transfer charges, and foreign transaction fees. 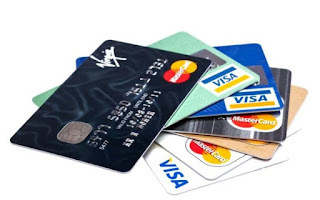 Different kinds of credit cards are offered by the issuing companies. Some of these include fuel, entertainment, dining, lifestyle, and much more. Having understood the above factors, individuals may choose a card that best suits their personal needs. It is important to compare the various cards offered by different companies before making the decision. Thank you for these tips on getting your first credit card, Denny. It's important to take note of all the details of any financial action that you take. Credit Cards have benefits as you've laid out, but also require discipline in consuming habits.